As the robins begin singing, and the sky turns blue, here at Deep Creek Lake, Maryland, the thought of having a place of your own amidst the mountains and water, I am sure is entering many people’s minds. While working as a real estate agent in the lake area, I learned that people fall in love with so much around Deep Creek Lake. For some, it’s access to the water, for others, gorgeous mountain sunrises, or the quiet of early evening. Whatever makes you love Deep Creek Lake, or consider owning a second home here, the following 10 tips should help point you in the right direction, if you are thinking about buying. As always, we are here to help you, with any property management, improvement, or care task, that a second home could present. You’ve discovered this great resort community. You’ve had a great time there. And you’d love to go back any time you want and serve as the arbiter of great vacations for others. And hey, if you make some money along the way, there’s nothing wrong with that. Congratulations. 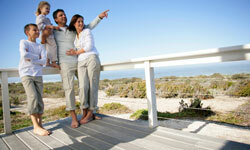 You’ve taken your first step toward buying a vacation rental. But investment experts warn that you should never look at the idea primarily as an investment. If you need investment income, then put together a solid portfolio of blue chip stocks. A vacation house will never provide the returns of a diversified portfolio. 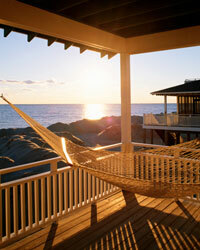 However, if you love a particular beach house and cherish the time you spend there, then you’re on the right track. Yes, you can share this experience with others. But to make the purchase work, you have to be the house’s No. 1 renter. Let’s look at 10 ways to make the most of your vacation home investment. It’s not hard these days to figure out what you can afford. The Internet is virtually choked with mortgage calculators to help you figure that out. You simply enter what you make and what you owe, and the calculator will tell you how much more the banks will lend you. The lending environment has changed substantially over the past decade. Since crazed lending practices of recent years have ended, the banks have started imposing stringent requirements on applicants. You need a 20 percent down payment, and you need for your monthly outlay for houses and cars to go no higher than 36 percent of your income. Even if you view the vacation home as a potential way to earn income, don’t count on that income to help you pay for the house. 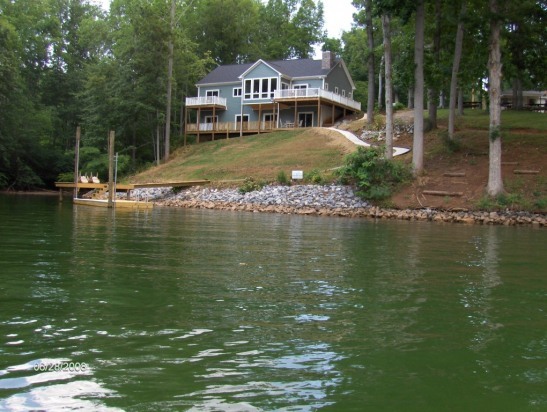 Keep in mind that you don’t have to buy the ultimate beach house with high ceilings and private docks. It’s OK to start small. Once you know what you can afford for the loan, take another look at total costs for running the house. At the very least, you’ll have to cover taxes, insurance, maintenance and utilities. If you live more than an hour away, you might have to factor in the cost of a caretaker or property manager. Also, when you figure maintenance costs, get an idea from someone who lives in the area full-time about what it really takes to keep a house in good condition. In beach and mountain areas, sand, salt, wind and ice can raise a home’s maintenance costs substantially. 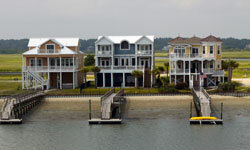 A beach house may need to be painted every two or three years, and a mountain house may need annual deck repairs. Whatever you do, when you figure the costs, inflate the numbers. If you’re figuring on a worst-case scenario, you’ll rarely run across a surprise. While warm and gentle in summer, winter time brings about high winds and the real risk of ice damming. 8. Buy an existing home, instead of land. The idea of building a house to suit your dreams is very appealing. However, in resort areas, it can quickly turn into a nightmare. To build a house from the ground up, you may have to deal with coastal authorities, local building restrictions, aggressive homeowners associations and sketchy contractors who work for beer money — if they feel like it. Coastal commissions in some states are so controlling that they define which plants you can grow. In ritzy resort areas, homeowners associations won’t even let you paint your deck unless you use a contractor on an approved list. Granted, not all resort areas come with these caveats, but the process of building a house rarely comes in under budget. If you want to keep your costs under control, stick with a house that’s already there. Here’s what happens: Someone calls the owner of a timeshare and says he has a buyer or will start paperwork to sell the property. And there’s always a fee, generally in excess of $1,000. Once the fee is paid, the seller never hears from this person or his company again. Bottom line: If there are so many people who want to get out of timeshares that they create a robust market for scam artists, then there’s something wrong with this concept in buying. 6. Work with an agent that knows the area. You drive to a little country town, and sure, it looks great. It’s picturesque. The boats bob gently on the lake. The little corner grocery carries artwork by local craftsmen. But I bet you didn’t know that the road that leads off to the most exclusive neighborhood is closed for five months out of the year. A real estate agent would know that. 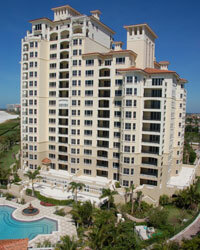 Resort communities are charming, but they can carry problems that are hard to live with. In the mountains, you’ve got tough driving conditions. At the beach, you’ve got parking problems. A real estate agent will help you envision that winding road to the cabin when it’s covered with ice. The agent can also be a great resource for little-known information on hidden bonds, community events and that group that likes to run naked through town every year on the solstice. 5. If planning to generate rental income, make sure the house and location are promising prospects. Your idea of the perfect vacation may mean going to a place with no television, no cellphone and no sight of your neighbor’s fence. But that’s generally not what people who rent vacation homes want. If you’re really going to work to rent out the property, make sure it’s well suited for vacationers. You need to be on the beach. Not near the beach. You need a house with lots of cots and sleeper sofas so it can bed down as large a group as possible. Ideally, the home will be in the thick of things. Keep in mind that not all people enjoy tracing their way through winding roads. Think of your vacationer as someone who wants to find the house, park the car and never get in the car again for the entire week or weekend. They want to walk to the beach, walk to the store and walk to the trail head. These types of properties generally cost more, but they make better rentals. 4. Research all four seasons before buying. It’s a good idea to visit the area in which you plan to buy during every season. Though the hiking may be great, the roads may be impassible for part of the year. Or the beach may be beautiful during the peak of summer, but as winter approaches, the area may be plagued by the smell of fish. By renting houses in different parts of the community during different times of the year, you’re ensuring that you know how the community fares as the calendar unfolds. If you’re gung-ho on the idea of renting the house to make money, you need to be able to collect those rental fees for as much of the year as possible. In other countries, rules about title and ownership are not as clear as they are in the United States. For example, in Mexico, you can buy the house but only lease the land. The government owns the land. And the government can take it back at any time. In many countries, you run the risk of your property being ransacked or nationalized. Think of most of the world as a place where there is no 911. At the very least, if you want to buy overseas, read the State Department’s report on the country. It’s an authoritative guide that will help you assess whether the risk is worth the money. 2. Approach joint property ownership offers with caution. These types of agreements can start wars even in the warmest families. But if you’re convinced that your family can weather disagreements about buying, selling, renting and using the property, then build a few precautions into your contract. First, set down some rules about the percentages of ownership accorded each party and what rights those percentages confer. If you put in 70 percent of the money, does that mean you’re entitled to 70 percent of the proceeds from rent? And if the property is sold, do you get 70 percent of the sale price? It stands to reason that you would, but just to be on the safe side, get it in writing. Sometimes people remember numbers differently when money is involved. Also, are you allowed to sell your share of the property? If so, can you sell it to anyone you want? In any event, you want to make sure you know your partners in the deal very well, and make sure they’re willing to spell out every detail of the rights and privileges accorded with joint ownership. Investment experts will be the first people to tell you that you’ll never make the money on a vacation house that you could make on other investments. So if you buy one, make sure, above all, that this is a house and an area you enjoy. It will be worth the cost if you spend as much time there as possible, put your heart and soul into caring for it or plan to keep the home in the family for future generations. You can’t put a price on that. For everything you need, managing your vacation property, feel free to contact us.